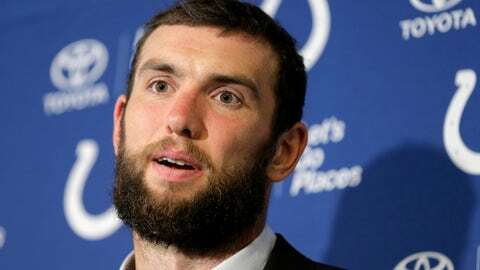 Andrew Luck (shown here in October 2018) is refreshed and ready to go. Luck didn’t throw in either of the two previous offseasons, but not by choice. Instead, he followed doctor’s orders while recovering from surgery on his throwing shoulder. This time, Luck opted for a well deserved break after perhaps the best season of his pro career. Meanwhile, Ballard added only two newcomers, former Carolina receiver Devin Funchess and former Kansas City pass rusher Justin Houston. Funchess gives Indy a bigger downfield threat. Houston brings a veteran presence to a young defense that improved dramatically under first-year coordinator Matt Eberflus.